File Starting this season, Parkview Field’s netting will be increased to run from dugout to dugout in an effort to keep fans safer. There are times that being attentive, reacting quickly and using a glove can’t protect a fan attending a baseball game. Officials in both the major and minor leagues are endorsing the use of netting to shield more areas than just those behind home plate, and the TinCaps will now do just that. For fear of hard-hit foul balls or even slipped-away bats, the TinCaps announced Monday the netting at Parkview Field will be extended to the far end of each dugout. The change is effective for the upcoming season. "We’ve been doing our own soul-searching of what is best for fan safety," TinCaps President Mike Nutter said. "I felt we weren’t going to wait for a change (to be mandated). "I think your odds of being injured are more likely in a car accident than at a ballpark. But they are still out there." Whereas netting previously fronted seats in sections 105-111, the new nets, just as high, will extend down each foul line to sections 103, 104, 112, and 113. Nutter said 1,300 more seats will be guarded. The TinCaps contacted the affected season-ticket holders Monday. Though given the option to switch seats if they desired an unobstructed view, those fans responded in a positive fashion, Nutter said. "We did not get one that was negative," he said. "It resonates with people. Fan safety is first and foremost. "It’s not like it’s chicken wire. You can see just fine. The best seats are behind the net already. Nobody worries about the net after two pitches. I don’t even think you see it." Nutter said the cost of this move runs over $20,000, "a significant thing," he said. "But we just feel like it’s what needs to be done, for the fans, for the experience and all that sort of thing," Nutter said. In June, Parkview Field endured an accident Nutter called horrific with Kevin Myers saying his wife lost eight teeth from a foul ball. As a way to decrease such risk, baseball Commissioner Rob Manfred recommended last month netting be extended, and Minor League Baseball CEO Pat O’Connor backed it. "These recommendations help ensure the safety of those sitting close to the action," O’Conner said in a statement. In the big leagues, a string of highly publicized injuries in the 2015 season helped prompt Manfred to take a long look at safety and commission a scientific study. Most of those injuries were from foul balls. The reports spread quickly on social media. In April, a woman in Pittsburgh was struck in the head by a liner, just as a woman in Chicago was in August. And in Boston in June, a woman suffered severe injuries after being hit in the head by a broken bat. 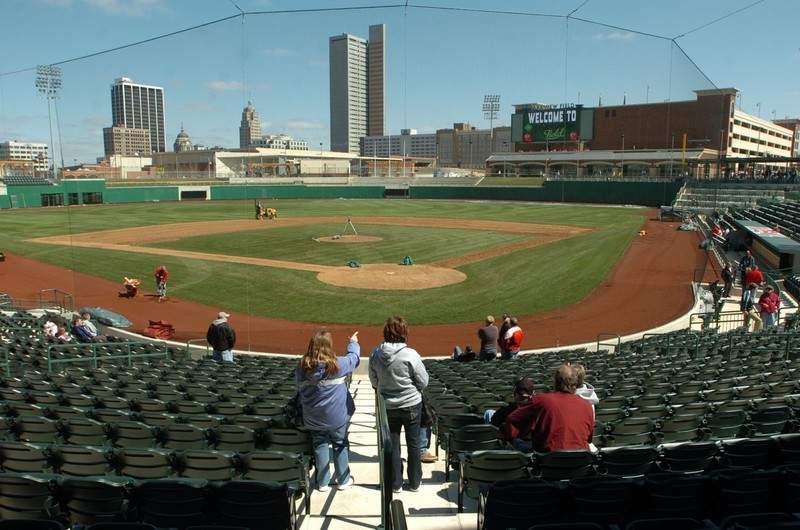 Increasingly, teams at all levels of the sport are taking action – the TinCaps included. "Sometimes it’s coming off the bat 100 mph," Nutter said. "Stuff can happen. Hitters are bigger, stronger. Pitchers are throwing harder. This is the best option for everybody."